Much has been written about poor crowd control at the Black Dahlia crime scene. Here’s an example of LAPD crowd control from the 1948 film “He Walked by Night,” which was the genesis of “Dragnet,” first as a radio show and then as a TV program. 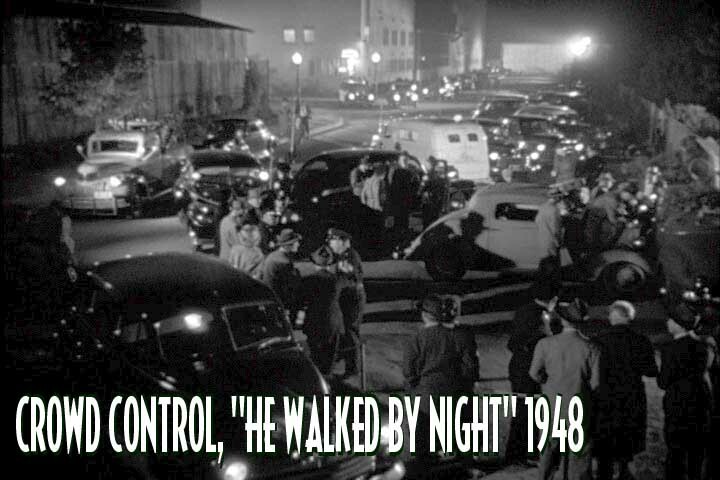 The idea of “Dragnet” arose during filming of “He Walked by Night” as Homicide Sgt. Marty Wynn, the technical advisor on the film, talked with actor Jack Webb about all the mistakes Hollywood made in portraying police work. A frame grab from the movie shows the ropes used to keep people away from the car where a police officer has been killed. Retired Capt. 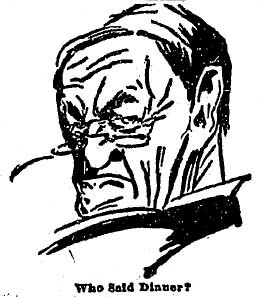 Ed Jokisch has told me many times that in the 1940s, when he worked homicide, the call car had ropes used for crowd control.